Pickles Auctions is a wholly owned subsidiary of Pickles, Australia. Founded in 1956, Pickles is the number 1 auction and valuation specialist with over 900 staff and an annual turnover exceeding AUD$2.4 billion dollars. Pickles is proud to make Malaysia its first overseas office and has brought its expertise to the region. For 50 years we have forged a national reputation for integrity and high business standards. Pickles’ quest for competitive excellence begins and ends with our unyielding commitment to ethical conduct in all our relationships. Why should I buy from Pickles Auctions? Buying at auction is easy, convenient, fun, and best of all saves you money. The atmosphere and experience of a live auction is something we’re confident you’ll tell your friends about. We offer a hassle-free buying environment and you’ll go home knowing you bought at a fair price without any salesman calling to hassle you. The majority of vehicles are registered and supplied with guaranteed titles and will come with the manufacturer’s warranty where applicable. Pickles also partners with quality banks where you will find special auction offers waiting for you. We also offer extended warranties, runner services, and insurance on request. Once you have fully paid for your purchase, you can take it home with you on the same day. To find out more, please visit our Frequently Asked Questions or Contact Us. Over the last 5 years we have achieved a year-on year-revenue growth exceeding 10%. In the last financial year, Pickles sold over 230,000 used cars and salvage vehicles as well as more than AUD$450 million worth of trucks, machinery and earthmoving equipment. 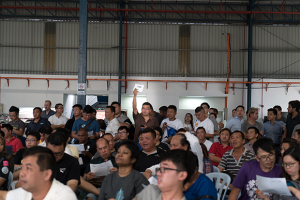 Each month we hold over 150 live auctions across Australia and Malaysia. We sell on average 4,400 cars every week! Our major clients include insurance companies, banks, governments, local councils, fleet and lease companies, car manufacturers, major corporations, and even not-for-profit organisations. Five storage facilities in Malaysia. Used & Restored Vehicle Auction is Back!